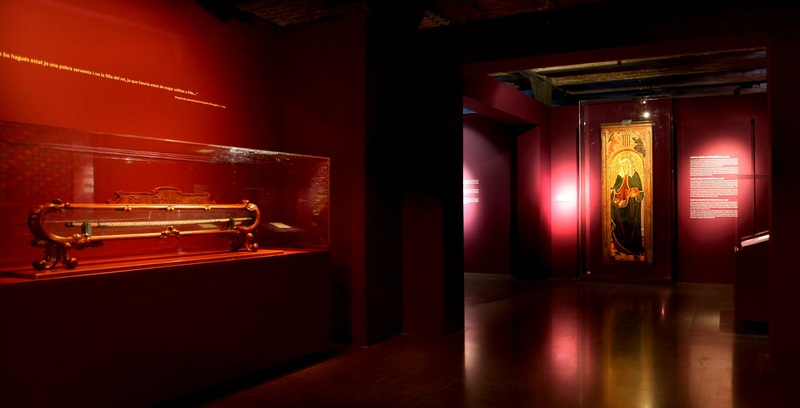 This archaeological exhibition reveals the relationship between Catalonia and Hungary during the Middle Ages and their economic, political and cultural ties through the history of four women. 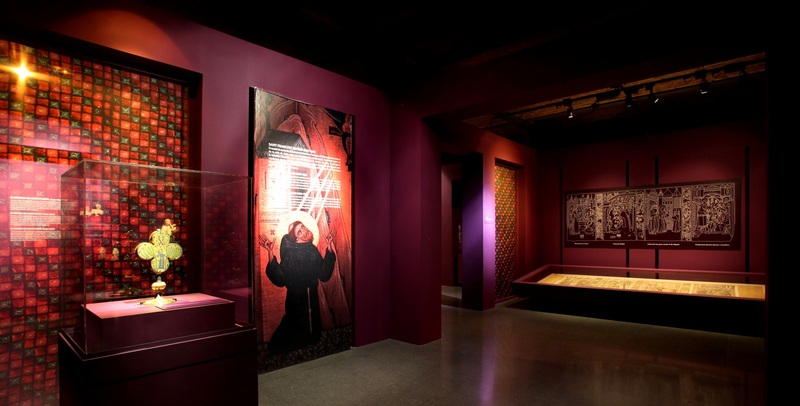 Princesses from Afar was a historical exhibition, very academic in tone, which posed great difficulty due to the large number of pieces of artistic and archaeological value that were requested by the curator. 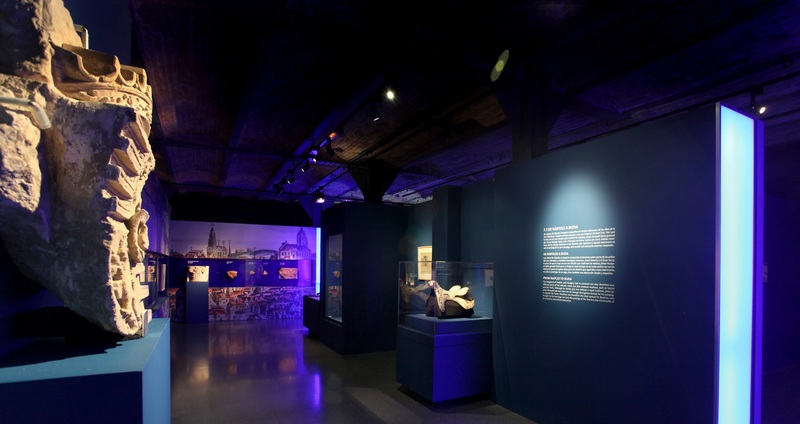 Our job was to respond to this need by trying to make the theme of the museography coherent and agreeable for visitors, so that they would not be overwhelmed by sheer number of pieces, or saturated with information. The central theme was the relationship between the kingdoms and counties of Catalonia and Hungary through matrimonial alliances, which constituted a kind of political contract in the Middle Ages. Above all, the message that we wanted to highlight was the sensation of being in a strange land: like what these four women must have experienced when they were used as currency to obtain the political favour of an allied kingdom. 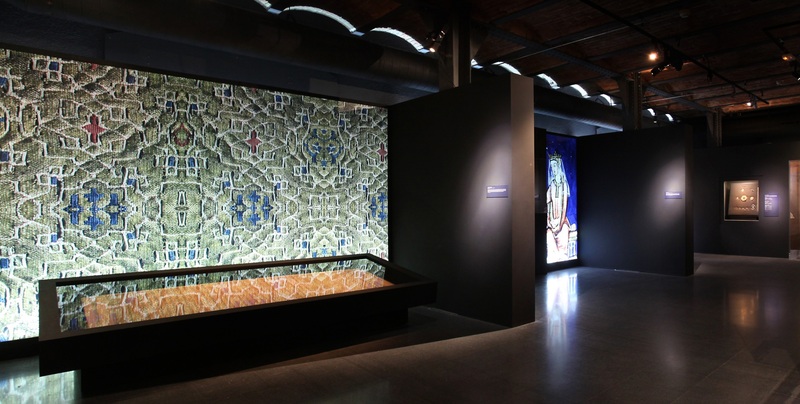 That is why the exhibition opened with an inhospitable Hungarian landscape: a horizon line that completely surrounded the room where the plans and conceptual maps explaining the relations between these kingdoms were on display. After this introduction, we learned the stories of the four foreign princesses – Constance of Aragon, Violant of Hungary, Beatrice of Naples and Mary of Hungary. These four stories were put together using a wide variety of graphic resources, fundamental to contextualize original pieces, while at the same time that meant we had to provide for very different needs in terms of conservation. 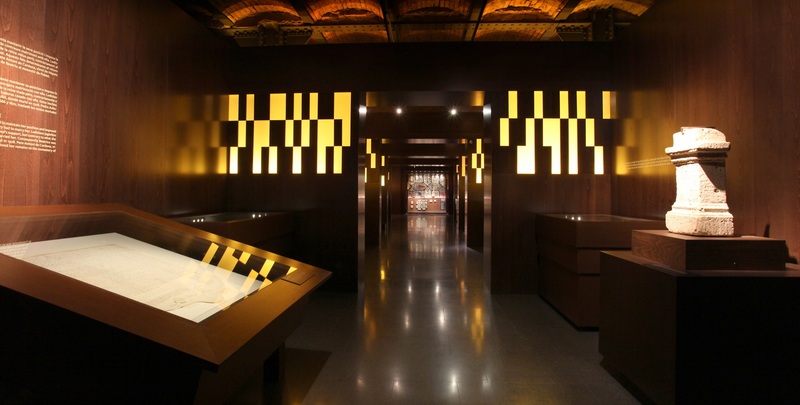 Projections and audio-visual displays were used; there were graphic reconstructions of archaeological pieces of which only fragments had been preserved; the displays included books, parchment, fabric, paintings, etc. It was all expressed through retreats and labyrinths, scenic resources that invited visitors to experience what it means to leave one's own country for marriage and to adopt a new homeland.